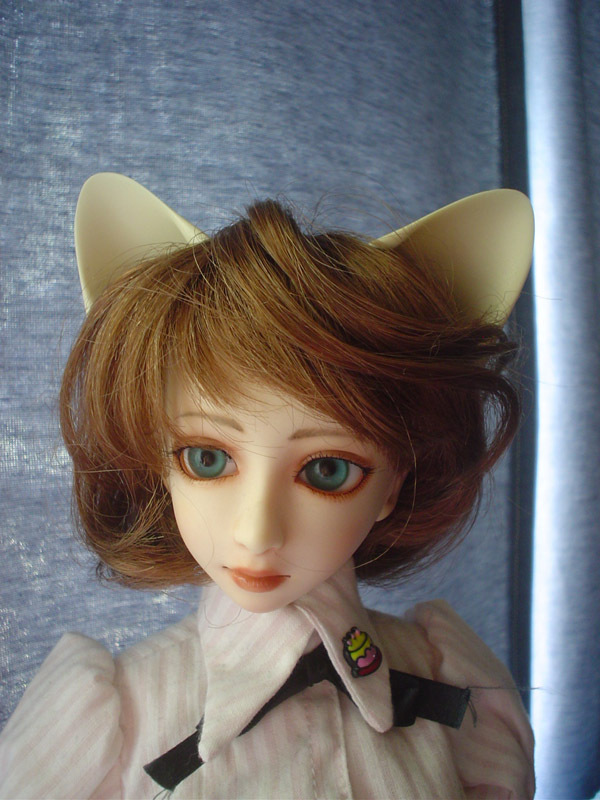 ZM Kitty Ears are handmade resin kitty ears sculpted by Gerald Dagel, Zirconmermaid's husband. Very simple to use, simply place each of the ears where you want on top of your doll's wig, then slip the included separate magnet under the wig to "lock" into place. 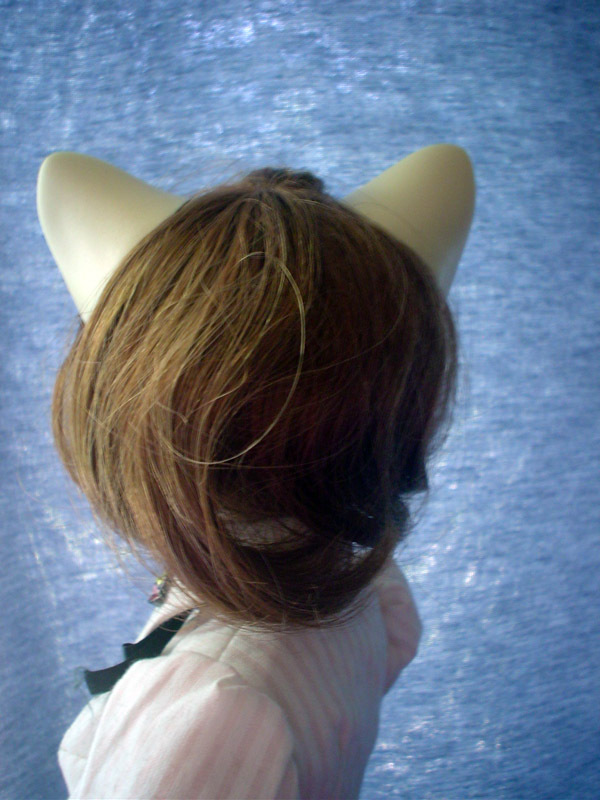 Repositioning is a breeze as each ear has it's own magnet embedded which "locks" down with the separate magnet. 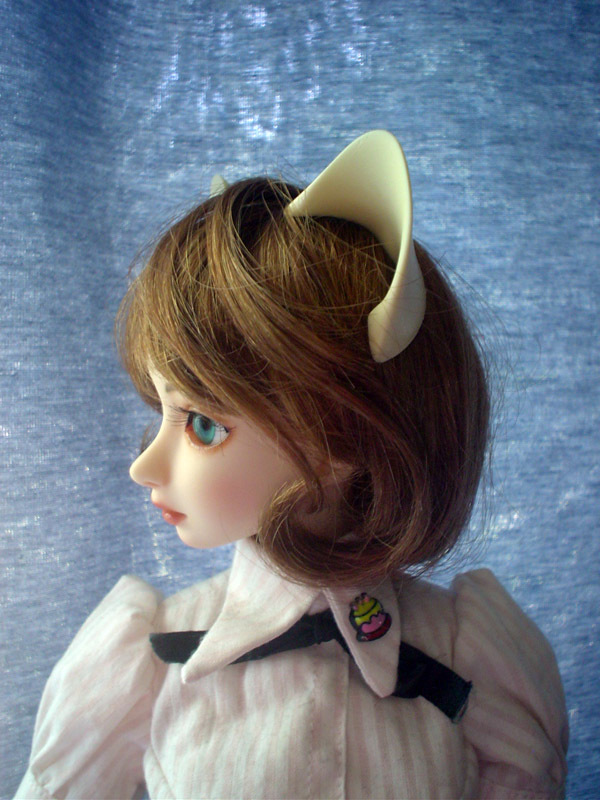 These wonderful ears are cast in white resin so you can paint them any color you like! 1 Pair Separate Magnets to hold the ears in place under the wig.